The difference between arrogance and Ujub/Self pride is that Arrogance is over people and Ujub is in yourself. The definition of self respect/ Izzat al-Nafs is do something that causes you to be disrespected. Note knowledge does not obey anything so a student should not put himself into a bad place. This is wajib/necessary. Da’a to humiliate yourself lower than who you are this is prohibited. Umar Ibn Abdulaziz (may Allah be pleased with him) was the leader of the Muslims during the Ummayyad Dynasty 680-750 (he ruled for about two and a half years). He was trying to find someone in the masjid and he tripped up on someone he said, "Are you a donkey." He said, "No, I am Umar." This is something that I need to practice. Respecting the teacher is one of the manners that a student needs to show; if he is to progress with the blessings of his teachers. When the teacher speaks you should be listening and never interrupt them. If you need to ask them a question then do in the manner we have explained before. When the teacher enters the room you can stand for them, this is your choice the best teachers will tell you not to do this. You may find some teachers not receptive to accepting presents, do not mind this because they want the reward for their teaching in paradise not now. Most teachers will accept presents but put thought into them and do not give them something that they will not use. Some teachers may not accept presents so be mindful of this. The best way to sit in front of a teacher is on your knees, if you cannot do this then resting on either leg, if you cannot do this then sitting cross legged but never raise your knees in front of the teacher, this shows disrespect. If you have teaching rooms that have chairs then use them, as the above information is for those who are sitting in the traditional way on the floor. Sometimes, scholars write complicated things in their books which lead the student to be confused. The student should show respect to the scholar whose book he is reading and make a supplication for him. I have seen many students disrespect the scholar whose book they are reading, do not think that you are going to anywhere by doing this. You will not benefit from the knowledge that you have learnt and incur the wrath of losing knowledge. It is a real wrath of God to loss knowledge because you have disrespected a teacher. Previous years we have spoken about Ramadan and this time I was wondering what to write. Then I started to wonder about time; time is something that we become aware of during Ramadan. Time is something that we do not think about until we see the month come around again then we wonder where did the time go? Have we used the time in-between well? If we did then would it come around so fast? Ramadan is time to remind ourselves of the place that we are going to go one day, the grave. The length of these fasts will begin at longest time and then it will slowly ease off. Also note that because of the Lunar cycle we will miss ten days of the longest days and the remainder will be shorter. So despite the length of these fasts the coming fasts will not be so long. Although, we should not be concerned about the time we have to fast because the longer we fast the more reward will we get, if Allah facilitates. Does anyone have a problem with getting more reward? Difficulty will be replaced with riches; so do not concern yourself and know that even at the longest fast in this climate; it will only be ten days in any one period of fasting. Time is something that we have to use well because the time in Ramadan is unlike any other time during the year. The reward of this time we will never receive again and this may be our last Ramadan. Who knows if we will see next year’s Ramadan? We may not even live through this year! Time is something that we have wasted and not realised the blessing that we could have attained in time that is lost. Time means so much more in Ramadan; more so that the rest of the year. The blessings in this month are greater than those of the previous months. The jurists remind us that if we miss a day of fasting that we can never make up for the blessings of that day even though we can make the number. Once it is lost, it is gone, gone forever. Use your time well because you never know this may be your last Ramadan and what a loser that person will be who did not attain from Ramadan the maximum. Time is ticking away!!! 1. He was more generous because he is a teacher and he had to teach us. 2. To share in the generosity shown to him by Allah (mighty and exalted). 3. He knew the value of this month and increased his generosity accordingly. He showed us the way and Ramadan is the time that even people who are religious all year around need to increase their actions. The reference to the breeze is metaphorical in that the generosity of the wind knows no bounds. This is one of the beauties of this narration; just because we pray normally does not mean we are exempt from performing more actions. In fact if a religious person does not perform more actions this month, then this is like a normal month for them and they have lost the special benefits. Use your time well my friend before you come to a time in which you’ll wish you did. Ramadan Karim everyone and make dua for this lost soul. This is a link to an article by Shiekh Idris about the beauty of the Prophet (peace and blessings of Allah be upon him). This was something that I did not understand for a few years and suddenly I was given an understanding that made sense. One day Prophet Muhammad (peace and blessing of Allah be upon him) noticed a Bedouin leaving his camel without tying it and he asked the Bedouin, “Why don’t you tie down your camel?” The Bedouin answered, “I put my trust in Allah.” The Prophet then said, “Tie your camel first, then put your trust in Allah” (At-Tirmidhi). So what is happening here? Here, the tenants of reliance on God/ Tawakkul are being taught to us. The Prophet (peace and blessings of Allah be upon him) is teaching us that valid reliance on Allah is about doing as much as you can then relying on Allah for the outcome. Or using the means that you have without being careless. An example of false tawakkul is a person who sits at home saying that his wage will come to him even though he does not work! This is invalid reliance. True reliance is when someone is actually searching for jobs then relies on Allah for the outcome. To illustrate this even further, ponder the following example: a man walks across one side of a street to another without paying attention to the traffic. Claiming that he is relying on Allah to protect him, this person is mad and could be involved in a serious accident if he is not careful. This is false tawakkul! True Tawakkul is when someone wants to cross the road; he goes to the pelican crossing then presses the button and waits for the green light. This is valid reliance/tawakkul on Allah. Do you see the difference? The person tries their best to do something and then does not concern himself with the outcome. True Tawakkul is when someone wants to cross the road; he goes to the pelican crossing then presses the button and waits for the green light. This is valid reliance/tawakkul on Allah. When you put your clothes out to dry on the washing line, do you leave the clothes without any pegs? Of course you do not because that would be madness! This is the difference again between false tawakkul and True tawakkul. True tawakkul is to put pegs on your clothes so they do not get blown away in the wind. Do you see the difference? The person tries their best to do something and then does not concern himself with the outcome. Look at this example in the life of the Prophet Ibrahim (upon him peace) when he was thrown into a fire by Nimrod, one the greatest oppressors of his time, by the means of a catapult because the fire was so large. The angel Jibreal came to him, as he flew through the air, and asked if he had a need. He replied, “Allah is sufficient for me a guiding protector.” At that moment Allah (mighty and majestic) ordered the fire to be cool and safe. The Prophet Ibrahim (upon him peace) was not harmed by the fire. This is true Tawakul because the great Prophet Ibrahim (upon him peace) was not concerned with the outcome; he was happy and content with whatever Allah (mighty and majestic) had decreed for him. We do what we can but we know that at a certain point that its Allah who completes the matter. That verse should be enough for anyone who want to kill another Muslim to think again and stop doing such a vile act. Killing anyone is unlawful and the person doing such action deserves the punishment of the full weight of the law. There has been many examples of gang violence which is not just directly outwardly (which is bad enough) but also inwards. Any acts of unjustified violence are not allowed and are unwelcome. Most of the violence that occurs within the Asian community is affecting itself and is self induced. We have Muslims beating each other up and even worse than that. It can be difficult to differentiate between the people doing the action and the reasons. There can only be one reason for gang violence, ignorance. It is pure and putrid ignorance, in its sickest form. The treatment of women is at times so bad that I cannot explain my disgust. Please click here for treatment of women. Are we so far away from our religion that people cannot see that the people have a right not to be harmed? We seem to enjoy segregating ourselves from like members of our own people, then form rivalries against them. Claiming that some areas are better than others then fighting over it. You have “lost the plot” if you think that is justified in any way. If you have a problem about something then talk it out! Do not fight each other because as far as I am concerned the person who raises his fist first has already lost. Muslims have to be smarter than this and realise that the world’s media is looking at us. Any of our actions could be used against us then twisted to mean something that it is not. We need to be careful, may Allah protect us all. Some of us may be feeling slighted by another and then retaliate in the most brutal manner. In the most inhuman manner possible. I was shocked to read the description of some of the events but it did not surprise me. We truly live in a time that madness is the norm. Where people listen to the one who screams the loudest not the one who possesses the truth. As people, as a nation, the Western Muslims must learn to understand the areas and the times that they live in. I cannot exclude myself from this because my silence is enough of a sin and the fact that I have not done anything about it, is enough. The blessed Prophet (peace and blessings of Allah be upon him) described the walk to the mosque as a walk that will purify you, for us it is a walk of mercy, but most of us wish to stay indoors and pray there. We have knowledge but yet do not to use it. We pray to God (the Almighty) but yet harbour pride and are not fully aware of what is happening inside us. How can we harbour any pride as we stand in front of our Creator and pray to him for mercy. I saw a dead body wrapped in its shroud and I thought how can we be tough or arrogant when we came from nothing then we will go back to nothing. No matter how much we struggle with this fact, it is true, if only we could realise this fact, maybe, we as a nation, could really understand ourselves. When we pray, do we bow our heads in grief and sadness, for our sins committed and then we prostrate on the floor? Remember that this is your best position and this is the true position of mankind. No pride, no arrogance or anything else; we have submitted to the Lord of all worlds and that is our true state. This state of prostration is the closest to Allah but we aware of this. Many of us don’t prolong our prostration in private or praying alone, due to the demands of life but what are the demands of Allah? He gave you everything and more yet you ignore this and continue to shorten your prostration, lengthen it, you will feel better inside. The Muslims life is for the hereafter not for this life, we must use our resources for this, in the world, we are greedily grasping it and because of this we want money, power or position. Why because we can see its result and so we grab it, what about the greed for the lasting rewards of the hereafter, why aren’t we greedy in that respect. Don't we know that all our endings are the same, a dead body in a shroud; buried in the Earth. Recently, in my locality, there has been a spate of gang related violence. This is not limited to one area as other areas suffer from the same type of violence. They include attacks on people in the most brutal and shocking manner. This is something that many people including myself, find hard to understand and comprehend. Especially, when the participants are from the same place. This type of violence needs to driven out of our communities. I am tired of this “gangster” type mentality which breeds arrogance. This arrogance eventually leads to violence which leads to innocent people being harmed. We do live in times where madness is the rule of thumb and whatever you do to make money is permissible. No matter the manner or the way it is obtained, how foolish. It does not cease to shock me the lengths that people go to obtain something that will be worthless as soon as it is brought. One of the main problem is that people do not have the tools of education to better themselves nor do they perceive there being any reason to pursue qualifications. What’s the point? I have a job! There is a lot of difference between someone who has no qualifications and has a job and someone with qualifications who has a career. Muslims must be smarter than this. We must think long term. Our children’s upbringing must be of utmost importance to us. The home is where learning begins. We all know the first language that a child speaks it the language of the mother. Why else is the language called the mother tongue? We need to be interested and focused on our children’s education. We cannot leave the children to the mercy of the education system and pray that they will be alright. We have to be actively involved in giving them the best education and add to it the balance of a religious education. The problem of violence in our communities is not a new one but it is a brutal one that seems to be getting worse. It could be easy to condemn such people but it would be harder to try to understand their point of view. They have been brought into environments which they reject the English culture and then have an alienation against their own. So they are caught between two worlds, the East and the West, without belonging to either. This causes a tension and this tension can lead to adopting the ways of other “suppressed” peoples. Muslims are not suppressed in the United Kingdom. Yes, we do face problems because external factors but on the whole we are quite lucky to be here. Chinese Muslims are facing stiff penalties for fasting in the month of Ramadan, All praise is for Allah, we do not have these problems. The Asian youth is stuck because he does not know which way to turn. He can go to any numbers of ways. Religion seems not to be one of them despite the religious education that is received at schools and elsewhere. So the question now is, how come we have these children for many years but we do not affect them? How come we do not infuse them with love of the religion? Something is going wrong here. Most kids are dying to leave the extra education that they receive during the evenings. The problem is not in the religion but in the manner that we are teaching it. We must seriously look into the teaching methods that are in place. We cannot relax and cannot afford to close our eyes. We have to bring in English speaking teachers who understand the cultures and can reach the children. Having someone who comes from an Asian village, who has never stepped outside his country until he was put on a plane, is not the answer. We need to invest in teachers. We need to have homework clubs, football activities, sport activities, help centres, marriage guidance and places we can go to solve our problems. It does not have to be religiously centred but there must be support centres. We must have the door open for everyone. We owe our brothers and sisters that much and maybe more. I remember once I was getting a new carpet for a room. Part of the process was to clear everything out of the room. I took out all the furniture, books and the old carpet in preparation for the new carpet. Then I noticed something very strange whilst walking in the bare room. My footsteps were making a lot of noise. So I pondered for a moment then thought it cannot be my footsteps because I was wearing the same footwear as before; then I realised why the room was making so much noise; there was nothing in the room! So remember the reason why things make a lot of noise; is because they are empty, not because they are full and not because of the person passing through. Similarly some people are like empty rooms they make lots noise but are empty inside. In my experience the more noise someone makes the emptier they are! If you can stop someone by using the tongue then you cannot use your hand! The reason why I am writing this is because I recognise this in myself and I need to do something about it. In English the word can be seperated into two parts: hypo comes from the Greek hupo that means under and hypokrisis which means acting or feigning. It’s like actor who feigns illness to us all; but is perfectly healthy inside, whilst the remainder of us are under his spell. Faith is defined as belief in the heart with affirmation of the tongue. (with the condition of not doing that causes disbelief) So hypocrisy is the outward present and the inward vacant. One of the things that really annoys me about listening to the sermons on a Friday, is the warning about the hypocrites. It is repeated every week, every lecture, every time I step into the masjid. Some people think they are able to declare who the hypocrites are and who are not; then they declare openly and sometimes to the face of others. This is not based on anything except opinion and not knowledge. The image that is painted is that some are free from it and everyone else needs to be careful; because anyone unlike them is a hypocrite. When you can walk into any masjid in the country and hear the same message then it is a concern. How can we be sure that we are free from it? If we are not, then how can we feel so comfortable? So if someone has all three qualities then that person is a true hypocrite and if someone has one or two qualities then they have to be aware they have a portion of hypocrisy. Look into yourself and ask yourself these questions; do I have any of these qualities in me? If you lie then tell the truth, if you break promises try to keep them and if someone gives you something then return it. I have lost count of the amount of items that I have lent out which I never see again, where is the trust? I remember there was one brother who refused to give an item to someone who asked for his friends item because he did not own it and he was looking after it. The person who was asked for it fought the brother. How many of us would do this? Despite being attacked he never gave up the trust that he was given. This story needs no interpretation; it just needs to be understood. During the caliphate of Uthman (may Allah be pleased with him) a group appeared who would be known as the first sect of Islam, the Kharijites. 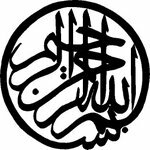 From the Arabic word kharaja which means to leave – this group had left the majority and went against the Caliphate. They caused the death of Uthman (may Allah be pleased with him) then Ali (may Allah be pleased with him). They contributed to the first civil war in Islam. They were outwardly pious they would pray and fast excessively but would go against the leadership of the Companions! Look at the mercy of Ali (may Allah be pleased with him), these people are not just disagreeing with him but they are people fighting him. And like the practice of the Prophet (peace and blessings of Allah be upon him) he does not return evil with evil. When people argue with each other they call each other disbelievers, just for having a different opinion than them! Did Ali? This is not an ordinary person, this is Umar ibn Al-Khattab! He was present at Badr, Uhud, Trench and other battles, he was there at the treaty of Hudaybiyya, satan would cross the street when he saw him (according to hadith), he was the second greatest ruler of Islam, he gave away half his wealth for the sake of Allah and he is the one who asking if he is one of the mentioned names of the hypocrites! We are not better than Umar (May Allah be pleased with him) so if he was concerned about being hypocrisy then shouldn’t we be more scared! We will never get to the level of one of his good actions. This is due to his sincerity and his concern for being on the right path. So how could we call other people hypocrites and how can we not be scared that hypocrisy has not affected us? We should be terrified of being hypocritical; each one of us. Anyone who thinks that they are safe from it then they are either asleep or have not read this piece correctly. We should all be scared but this is being sincere about our religion and if we are not sincere then what are we? Lets go back to the hadith, The Prophet (peace and blessings of Allah be upon him) said, "The signs of a hypocrite are three: if he speaks he lies, if he makes promises he breaks them and if he is given a trust he betrays. Even if he fasts, prays and claims, "I am Muslim." Narrated by Muslim. One of the things that I have witnessed the most Nifaq, this year, is the love towards the family of the Prophet (may Allah bestow upon him peace and blessings). Most people curse and praise the family within the same sentence. This is nothing but abhorent and this is true Nifaq. If there is something bad that one of the family are doing then advise them but do not curse them or make the sin known to people. This makes the situation worse. Keep quiet for the sake of his grandfather. Even if you pray and fast do not think that you are alright and there is nothing wrong. Yes you are doing good actions but you need to remove these traits from yourself. There is no sincere Muslim who should not be terrified of hypocrisy as for those who are not scared of hypocrisy then I fear that you have already fallen into it...even the insincere ones should be scared.